Visit Gorebridge Parish Church on a Tuesday morning and you might not immediately recognise the minister among the dozen or so cheery folk who are busy running the second-hand clothes shop, serving in the café and hosting a meeting. Dressed in jeans, white polo shirt and trainers, Rev Mark Nicholas could easily be mistaken for a roadie in a metal band, especially when he’s standing beside skinny malinky youth minister Ross Watters with his dreadlocks, tattoos and Dream Theater tee-shirt. Talk to Mark for five minutes, however, and – if you missed the sign outside the church—he’ll tell you exactly why he’s here. “We are here for you because of Jesus,” he says. “The local church is the hope of the world. It’s Jesus’ chosen institution to comfort the lonely, feed the hungry, reach the lost and see the renewal of local communities. Mark, whose great grandfather worked with Salvation Army founders William and Catherine Booth in London, was ordained into ministry at this very church in October 1999. He has no plans to leave any time soon. A local boy who grew up in the neighbouring town of Dalkeith, Mark says he always felt a strong sense of call to the communities he knows best. 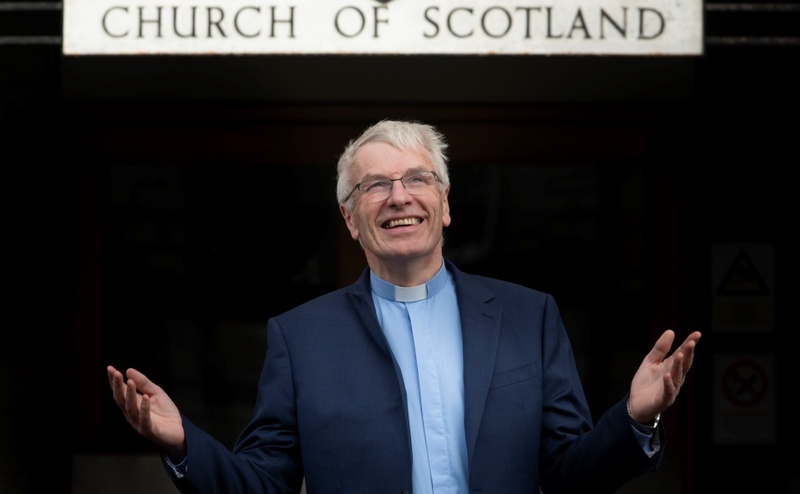 “It’s been a long time since there has been significant renewal in the Church in Midlothian and now after 18 years I’m starting to see that here. I trust Jesus for that and that’s my passion. “Very Rev Albert Bogle has said that long ministries change the church and I believe they do,” he says. “So I was willing to buy my grave plot here if I had to. Home to around 6,000 people, Gorebridge is a former mining village 11 miles southeast of Edinburgh in Midlothian. The main street has two supermarkets, one at each end of the village, and a scattering of businesses: a hair salon, a chemist, a garage, a petrol station and a chippie. The housing is a mix of renovated cottages, a short strip of two-story terraced houses, a social housing estate and some former council homes surrounded by working farms, stables and settlements. Gorebridge lost its high school in 1994, but with an influx of young professionals moving into the new housing estate under construction on the edge of the green belt, the council is now considering building a new one. The village includes two of the 20 percent most deprived areas in Scotland and has both more older and more younger residents than the Scottish average. Yet, somehow, against the odds, this congregation seems well on the way to building the spirit-filled community that Mark links to the early Christian Church. Visit on a Sunday morning and you’ll find a local church that feels welcoming and relaxed. Heartfelt singing is accompanied by an upbeat praise band. Nobody looks twice at the baby rolling around on the floor and Mark’s sermon is full of encouragement and uplift. Mark wraps up with an invitation to stay for coffee before picking up a guitar and joining the band in playing the congregation out. The majority of the 80 or so faithful gather in the hall with the children and teens and stay to chat and network for more than an hour. “This is what happens if you are open to reforming what happens on a Sunday morning so it actually fits with the community you are called to serve,” Mark says. From the beginning, he says, they set out to build a multigenerational church. “A lot of churches want the youth work done for them and they only want to bring young people in when they’re ready to be the next generation of church,” he says. “We’ve made church very adult in a way that keeps Jesus from bringing the generations together. “For me Church should be a warm, open-hearted and full of people who are looking for what God wants us to do in our lives. Around 36 people volunteer as youth workers and mentors to serve a variety of groups for children and teens. In total, the Church has around 90 volunteers running a much needed food bank as well as the clothing store, the café and the youth programmes. “I love our Kirk Session,” Mark says. “They are the driving force behind everything we do. The Elders protect the Church’s DNA, but they are also leading the church. We see community renewal as Jesus’ agenda. It is the Kingdom coming. It’s about widows and orphans; it’s about loving our neighbours. “Our inspiration is that first Jerusalem church, where they worshipped together, held stuff in common, treated one another as their family. Nine years ago the congregation hired Ross Watters on a part-time contract to build its youth work. Originally from Balerno, Ross grew up in a non-religious family but was “tricked” into attending a Christian camp with some friends. “It was the first time I‘d heard the Gospel message,” he recalls. “I went forward and I got prayed for and I was hit hard by the Holy Spirit. 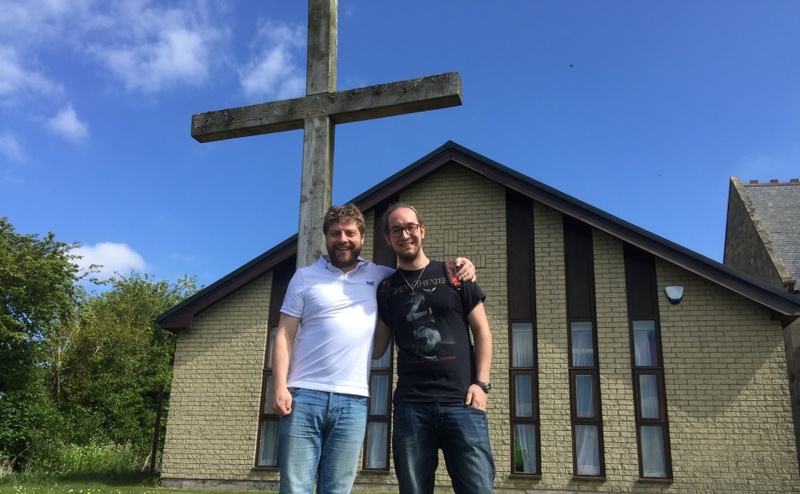 Allergic to being called a youth worker because he believes youth ministry is just as much a ministry as any other, Ross went on to work in a new charge at Gilmerton and earned his three-year bachelor’s degree from the Scottish School of Christian Mission. At first, he says the youth club consisted of a handful of kids and sometimes they were Mark’s. But through engaging young people in activities from sports, computing and music to bringing in professionals from the congregations to talk about careers, those numbers have grown. At the heart of the mission is one to one mentoring and a deep commitment to loving each person, even when their behaviour is difficult or self-destructive. Some young people who had become dependent on drink and drugs after experiencing early neglect and abuse have been helped into recovery through the Church, Mark says. At the same time teenagers are encouraged to avoid embarking on adult experiences too early. The Tuesday night leadership programme trains older teens to support younger ones. The first group of young people who were mentored in the programme are now 18-23 and are actively mentoring 50 kids themselves. Ross says every young person will have a one-to-one meeting at least once every two weeks, and if they don’t show up he will notice and check they are all right. “What we don’t want is for anyone to think, ‘I disappeared for two weeks and nobody noticed, nobody cares.’ It’s to prevent that,” he says. Around 30-50 young people turn up each week for Sunday club, in addition to the Monday night youth club that works with P7-S2 and S3-S6 ages on alternate weeks. A group of about 25 girls formed their own Bible studies group. “They just don’t know who Jesus is, so when we introduce them, they get to make up their own minds,” Ross says. “If Jesus is the biggest decision you can make in your life—and as Christians we believe that—then we need to give you the truth. So we have a wee gospel talk and on the back of that a chance to break into groups. “We make space for kids to ask questions and to disagree. Their opinion actually matters and they are not just being told what to think.